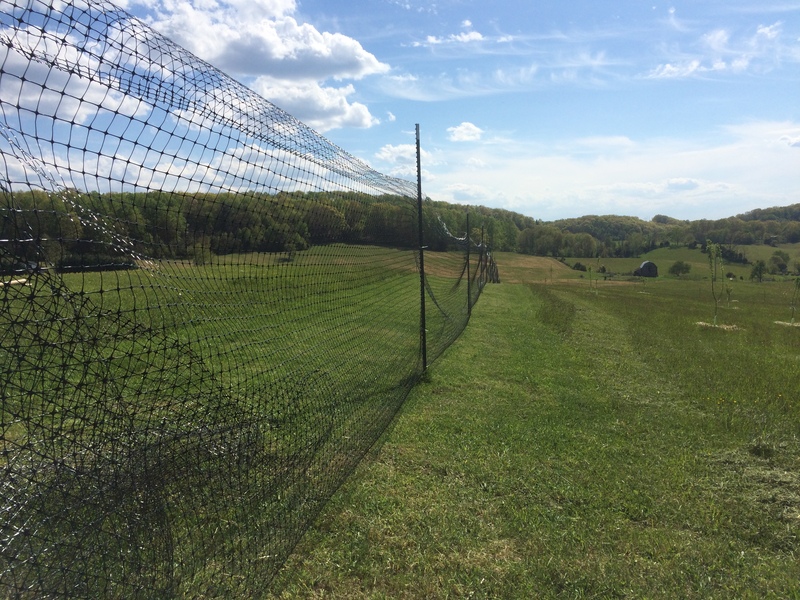 Our main growing area is protected from deer by a 8′ tall, extra heavy duty deer fencing. The only downside to this deer fencing is that it is extra heavy duty plastic. Rabbits have big, sharp, pointy teeth. Through the deer fencing they go. Do you know what makes it better? Two large dogs. Suddenly, a tiny rabbit-sized round hole becomes a Labrador-sized portal! We’ve had no summer lettuces, greens, etc. We’ve planted no fall lettuces, greens, etc. The remedy – a fence within a fence. It finally happened today, with my Dad’s help. 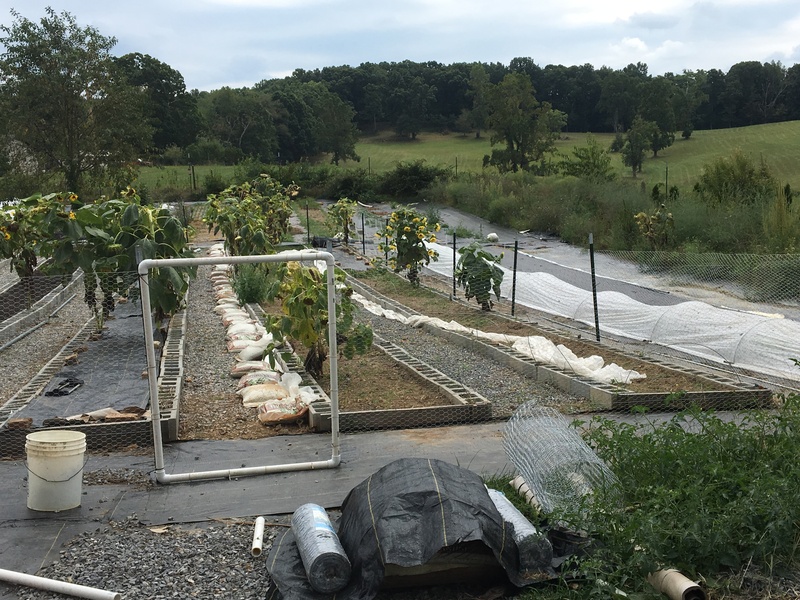 The raised beds used for greens got enclosed in 1″ hex chicken wire fencing that is 4′ tall. No, bunnies aren’t expected to jump THAT high, but if we’re working to keep them out, wouldn’t it be just a nice to keep the dogs out, too? You bet. Now, to get busy planting!!!! Being in a rural area, we are fortunate (and challenged) to have abundant wildlife around us. Birds are numbers and of varied species. We’ve enjoyed seeing red fox bound across our neighbor’s pasture. The dogs have disappeared so deeply into groundhog holes that only their wagging nubs were visible. Bunnies abound and nosh readily on patches of clover (and probably my lettuces). Neighbors have seen coyote and black bear in the back pasture. And of course, our number one wildlife species around is whitetail deer. When establishing the first planting area on our farm, one of our first investments was in fencing. The setup and materials, themselves, are pretty basic…10 ft tall steel t-posts and 8′ tall plastic deer fencing. Cable ties are used to secure the fencing material to the t-posts. 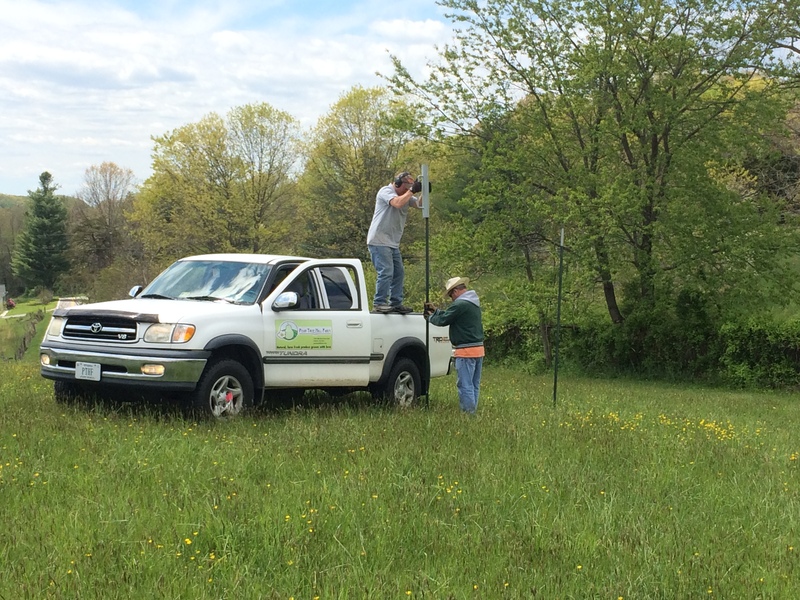 With a tall ladder (or standing on a truck side bed), and some upper body strength, in a few hours, deer fencing can be installed. The cost is worth it if one resides in an area highly populated by deer and production losses are a concern. 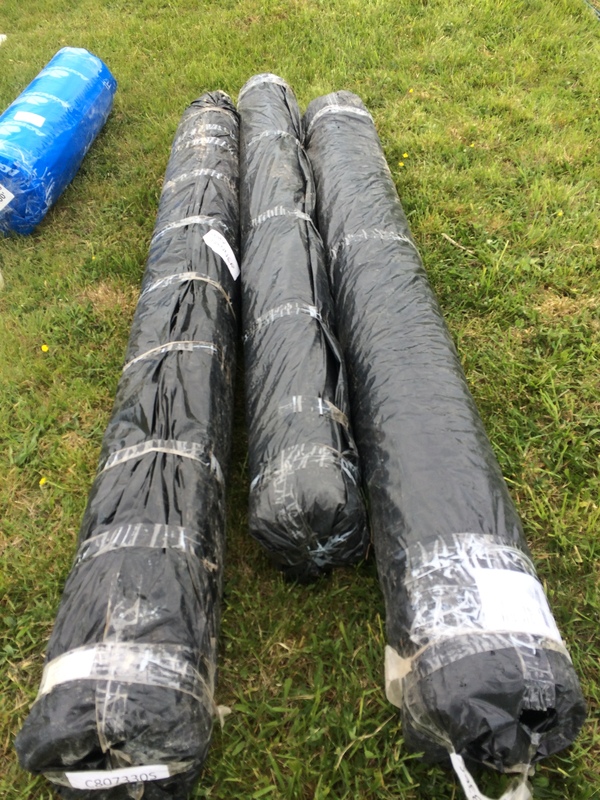 The plastic fencing material we used is heavy duty with a “tensile strength 750 lb per sq ft breaking load” according to the blurb on Seven Springs Farm (supplier) website. Originally, we purchased our t-posts from Seven Springs, too. Recently, we found the 10′ posts at HomeDepot for a reduced cost. 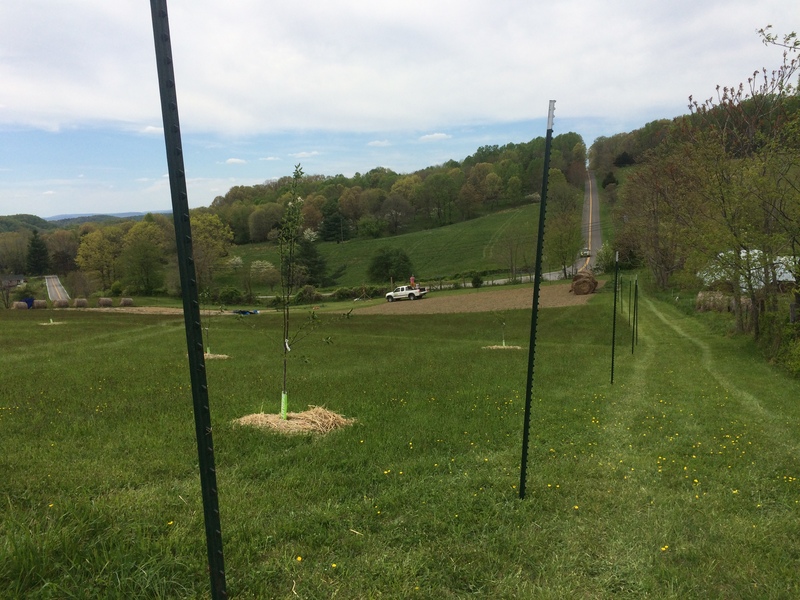 A few weeks ago, it was all hands on deck for installation of a new section of deer fencing around our the newly planted orchard and lower garden areas (now two new plots). It was a multi-weekend project with Jordan and Dad putting up all the extra t-posts we had on hand. Then Team Cooper came to town and helped finish the rest. The plastic deer fencing has worked well for us…for excluding deer. It is made of plastic, after all, and small rodents have been able to chew access holes or go under (despite leaving a bit folded along the ground). It is also impossible to weed whack – you can damage it with mower, too. Crop damage from rabbits has been unnoticeable. Last year, a ground hog got into the main garden and ate all of our bean plants. For that situation, we turned to our neighbor (retired from Sheriff’s department) who had great aim and got rid of the bean-eater for us. There is galvanized metal deer fencing that would solve some of our rodent and aesthetic issues, but that option was out of our budget…perhaps down the road. Do you have wildlife problems? OR do you have wildlife exclusion solutions? Many folks out there would like to know. Feel free to share ideas, stories, or questions.